The brand had to appeal to a modern tech-savvy client base, freeing the firm from the rigidity of a more traditional law firm identity. In terms of typography, cutting edge was an absolute must-have, but Steven’s background in software engineering and his general interests in the geekier side of things led us to aim for a definite underlying retro feel. 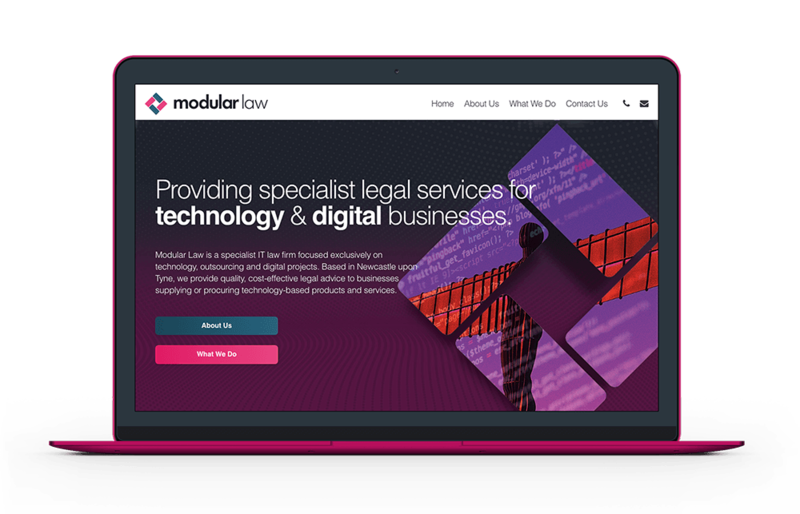 Following the success of the branding work, we started translating what we’d created into the effective, engaging website that Modular Law needed to connect with their target audience. 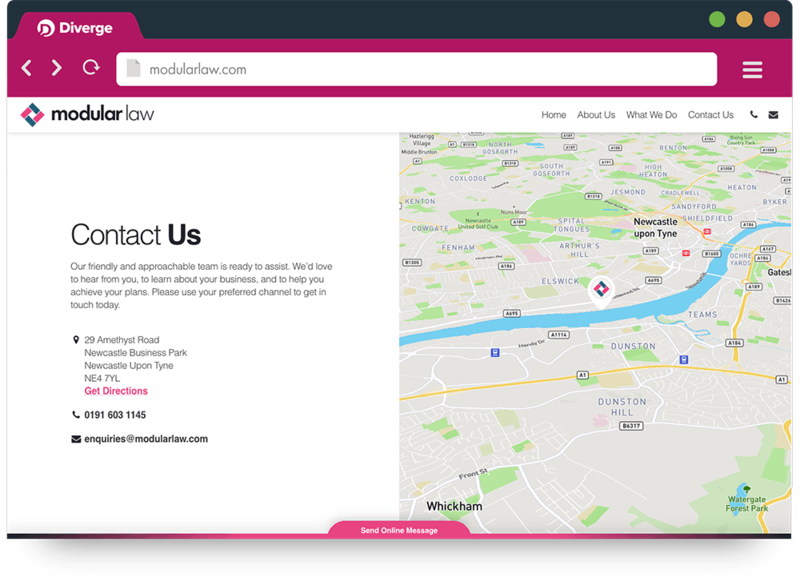 Their identity is stamped all over the site, with the logomark shape in particular being used to create a real sense of brand awareness. In order to produce copy for the website, we gathered content from the client in the form of business plans, draft proposals, and internal emails. We requested anything that they felt contained an insight into who they were and how they want to be perceived. 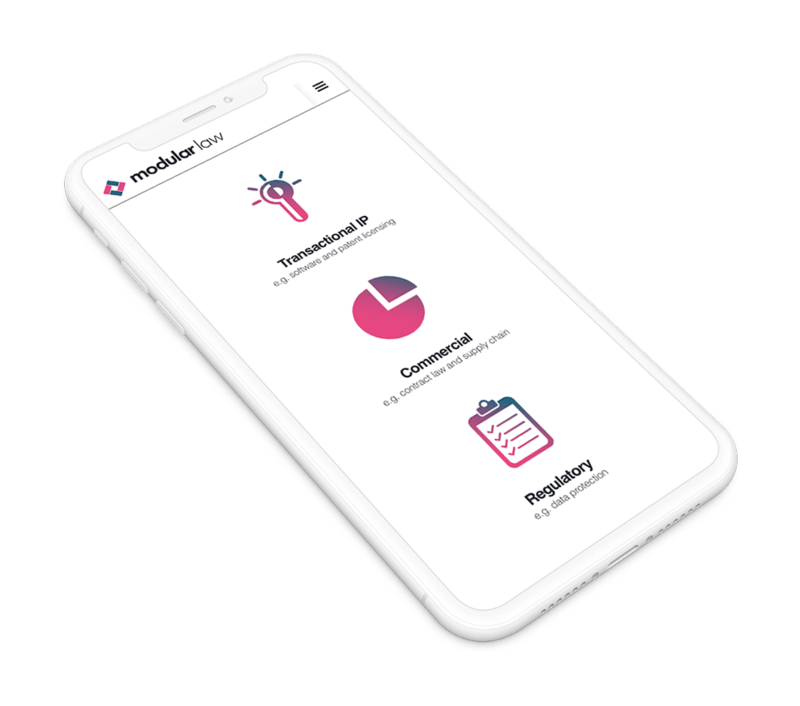 The initial content outline was then drafted by us to help establish the correct tone of voice and user journey, before going back to the client for legal fact checking and expansion. 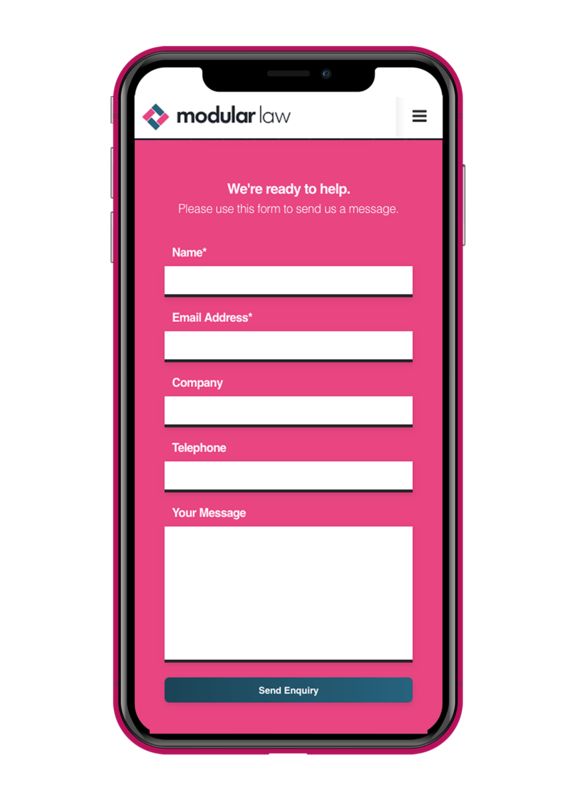 The result is an incredibly approachable tone, guiding users through the services Modular Law offer, and the reasons why they are the right law firm for them. 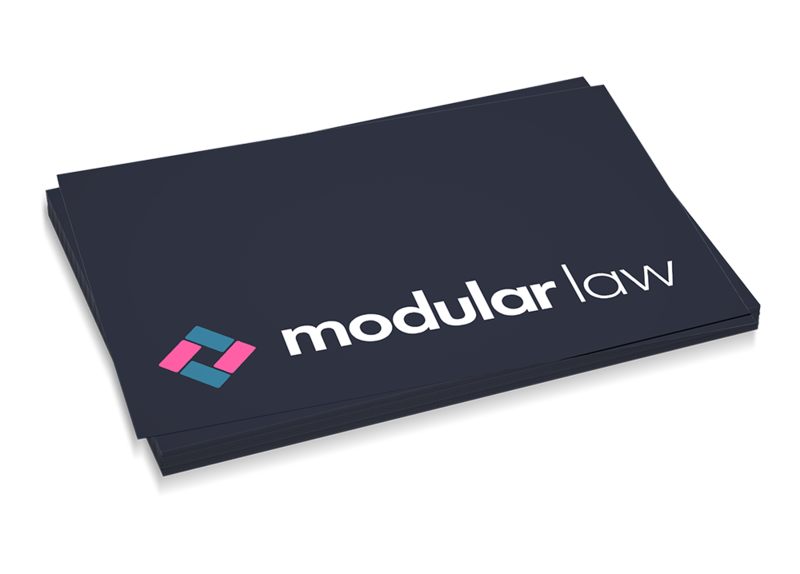 We wanted users to be able to see at-a-glance what Modular Law could do for them, so created a series of custom icons which help to illustrate – in simple terms – what could otherwise be a highly complex, text heavy subject. Because Modular Law focus on the North of England digital and tech sector, we used highly stylised double exposure photography of familiar local sights to create regional recognition. Every decision made during the design and development of this website was made to establish this new brand immediately in the eyes and minds of its visitors. Clear titles, properly planned and written content, clear calls to action, an SSL certificate and superfast hosting performance combine to make this stunning, easy-to-use website highly appealing to search engines from the outset. Newcastle life coach Jude Daunt approached us to help her to increase bookings for her BHappy Project spa retreats. Her previous website contained all the right information, but wasn’t converting visitors to sales. 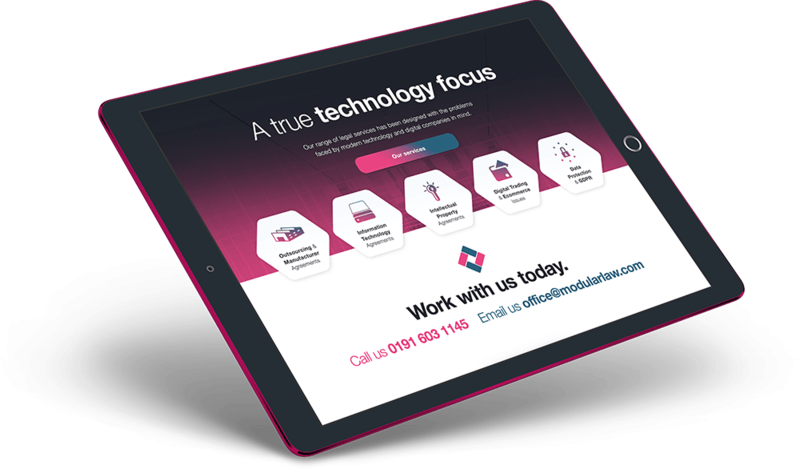 We were tasked with improving her web design and increasing online bookings.